Old map by HONDIUS - Moscovia. Size: 5.6 x 6.8 inches. Condition: Good and dark impression. 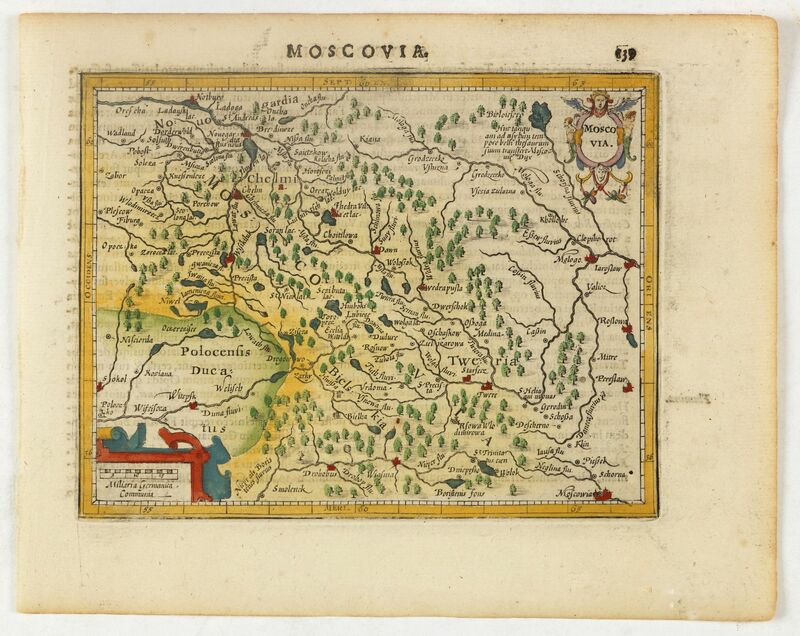 Early map of Russia centered on Moscow published in his pocket atlas "Atlas Minor".